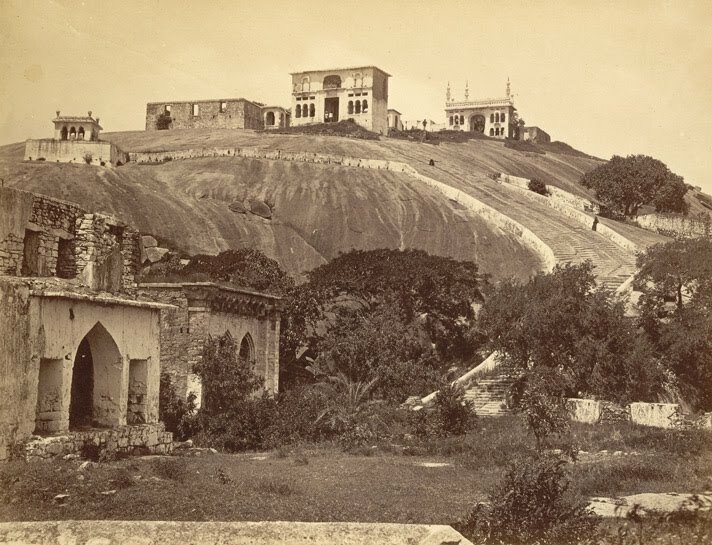 Photograph of a view of Maula Ali Hill near Hyderabad. This print was by an unknown photographer in the 1870s and is part of the Temple Collection. Maula Ali Hill is situated 6.5 km (4 miles) west of Secunderabad, Andhra Pradesh. The Shrine of Maula Ali is located here, together with a mosque and other ancient ruins including an old fortress and a large prehistoric cemetery.